The special counsel Robert Mueller’s Russia investigation has been quiet in recent weeks to avoid influencing the midterms. But by all indications, the probe is moving full-speed ahead behind the scenes. Over the course of the investigation, Mueller has made use of a tool prosecutors call „speaking indictments,“ a lengthy charging document that contains far more information and details than is required by law. Mueller issued speaking indictments when charging Russian intelligence officers for hacking the Democratic National Committee, as well as former Trump campaign chairman Paul Manafort. Legal experts say he will likely employ the same tactics when he puts out a report about others implicated in the investigation, including President Donald Trump. The special counsel Robert Mueller’s investigation into Russian interference in the 2016 election has been relatively quiet in the run-up to the November midterm elections. But by all indications, the probe is still moving full-speed ahead. Mueller, the former FBI director whose colleagues describe him as a by-the-book prosecutor, is notoriously secretive about the behind-the-scenes activity of the probe, running an investigation with few leaks and only providing public updates on the case through formal indictments and court filings. Over the course of the investigation, Mueller has made use of a tool prosecutors call „speaking indictments“ to bolster his case that Russia interfered in the 2016 election in favor of President Donald Trump, and that members of the campaign broke the law. A „speaking indictment“ is a document that criminally charges one or more defendants in a given jurisdiction and includes much more detailed information about the crimes than is required by law. Speaking indictments can be particularly useful in a complex, high-profile case like the Mueller probe to give as much context possible for the defendants, the members of the grand jury convened to hear testimony and hand down indictments, and the public. The special counsel’s 29-page indictment in July of 12 Russian military intelligence officers is an example of such an indictment. It contained far more facts and information than is required to prosecute the case. It goes into painstaking detail, describing point-by-point how the alleged hackers targeted and successfully obtained emails and records from the Democratic National Committee and the Clinton campaign, falsified their identities, and laundered money via cryptocurrency networks to carry out their scheme. 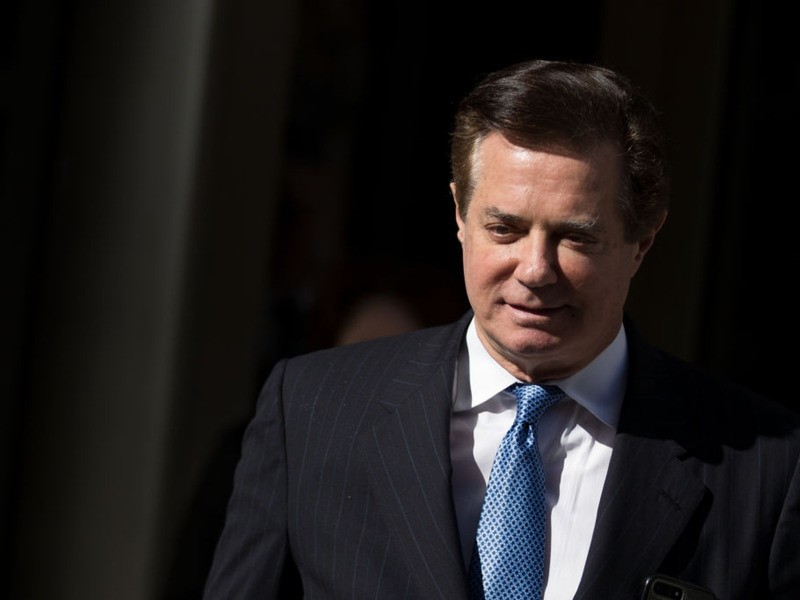 The special counsel employed the same tactic when he indicted former Trump campaign chairman Paul Manafort and former deputy campaign chairman Rick Gates last year. „If you look at the cases that are being brought, they’ve laid out an astounding campaign to undermine our democracy in detail,“ said one former DOJ official who worked with Mueller when he was FBI director. The official requested anonymity because they didn’t have direct knowledge of the investigation’s proceedings. „These indictments leave very little up for debate — they include names, dates, times, bank accounts — and it’s a way for Mueller and his team to make sure their case against the defendant is air tight,“ the official said. Legal experts say speaking indictments can serve not only as a roadmap for how the prosecution intends to argue their case, but also as a way to educate the public. Mueller is known to be investigating Trump for obstruction of justice. The president is also a key figure in the collusion thread of the Russia investigation. Even if Mueller has evidence of criminal wrongdoing on Trump’s part, experts say it’s unlikely he will move to indict the president, because current DOJ policy says a sitting president cannot be indicted. But that doesn’t necessarily mean Mueller will treat the facts differently.